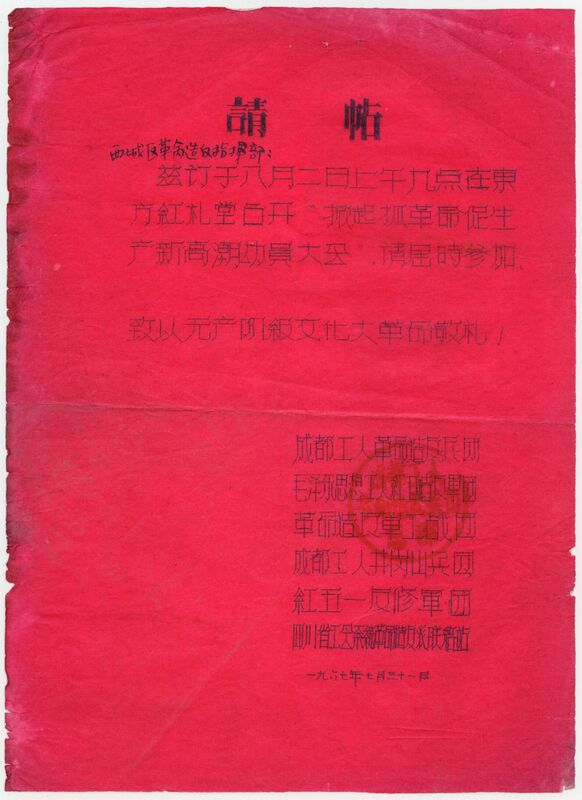 This is an absolutely fascinating historical document from the Cultural Revolution. Everything about this piece merits attention from the true collector – from the perfect name of the meeting place (The East is Red Auditorium!) to the wonderful names of the units that were sponsoring this meeting, all seemingly trying to outdo the other for most revolutionary correct title. A stunning piece! The invitation is printed on tissue thin red paper that has somehow survived nearly 40 years of handling. As the scan shows, there are signs of wear with deterioration of folds clearly evident. Once properly framed this will be forever protected. Xicheng District Rebel Revolutionary Command Post: Zi Ding Yu August 2, 9am at The East is Red Auditorium convening, "Mobilization Meeting to Set Off a New Upsurge to Grasp Revolution and Promote Production". Please attend on time. 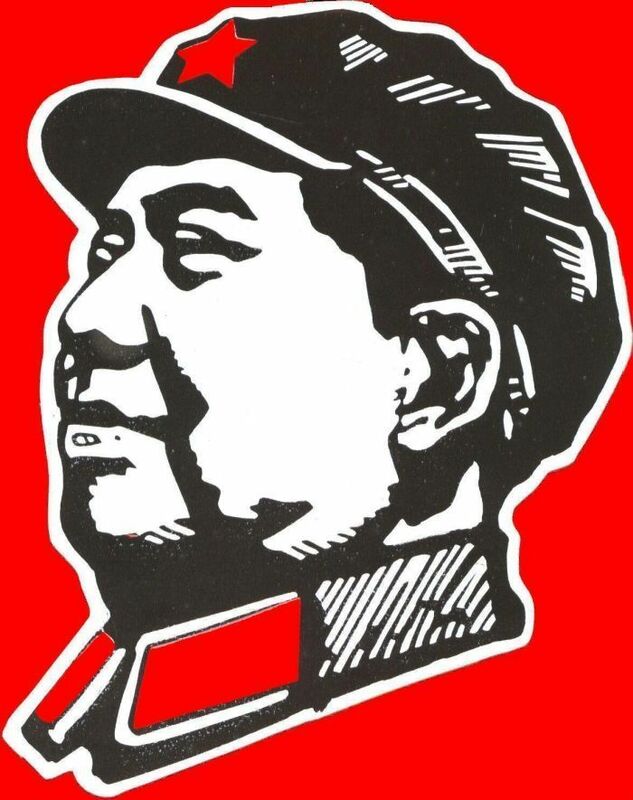 Extending Greetings to the Great Proletarian Cultural Revolution! The document also bears an official red chop. The invitation measures 27 cm (10.75 inches) x 19.5 cm (7.75 inches).